Communicate regularly with teachers and school staff. Read and/or tell stories to your child frequently and discuss the stories together. Talk and listen to your child about school, read classroom newsletters, and check your child's backpack regularly for important notices. Ensure consistent and prompt attendance so your child will benefit from the full day of activities. Your child is an important member of the classroom community. Full participation in each segment of the day gives them the total experience of all planned programs and curriculum. This helps your child learn and grow. Limit screen time (TV, video games, etc.) and promote engaging, active play experiences at home (for example, playing outside, cooking together, folding laundry, sorting coins and counting money, listening to music, and talking together are great activities that support children's thinking). As you may know, the Mather School has a Wellness Council committed to improving the health and well-being of all students. One of our goals is to bring healthier party snack ideas to the classroom. We would LOVE your support in offering healthy alternatives for classroom celebrations! Can you please help? Here are some fun and healthy party snack ideas. Collect Box Tops on behalf of our school. Cut out the Box Top from these Participating Products and earn 10 cents for each Box Top! These funds go to very important and needed things such as field trips and classroom materials! 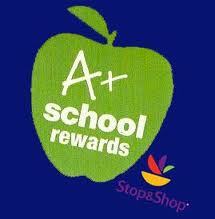 Box Tops can be collected and brought or sent to the Main office: Mather School, 1 Parish St., Dorchester, MA 02122.